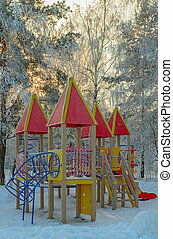 Children playground park winter snow iced floor. 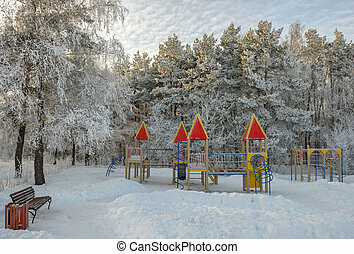 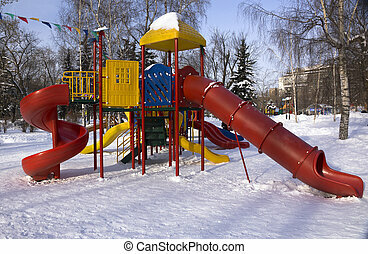 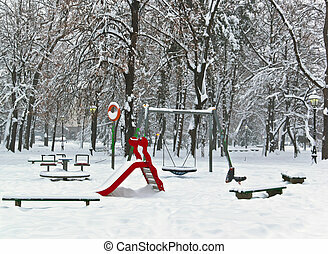 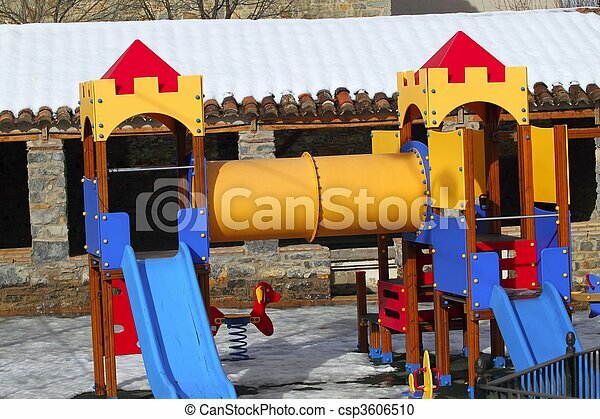 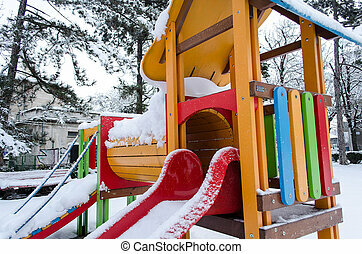 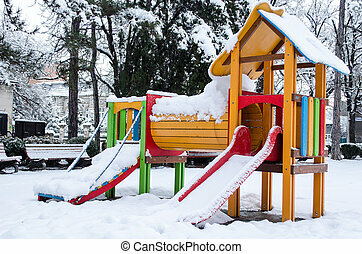 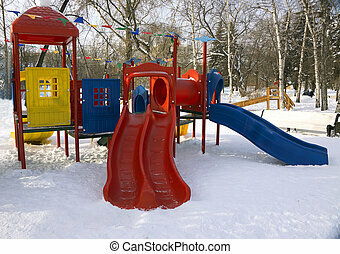 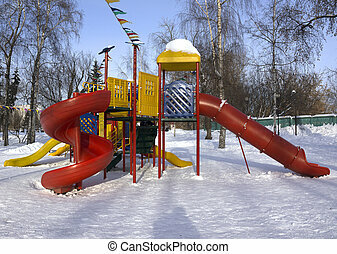 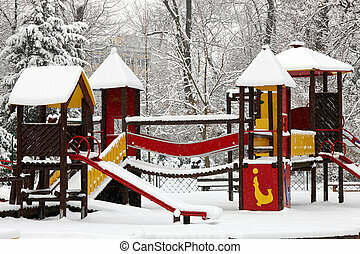 Children colorful playground park winter snow floor. 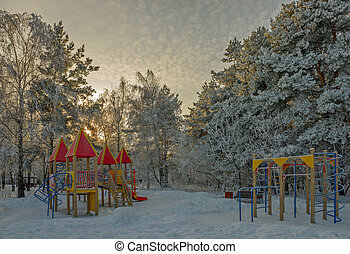 Snow covered winter playground. 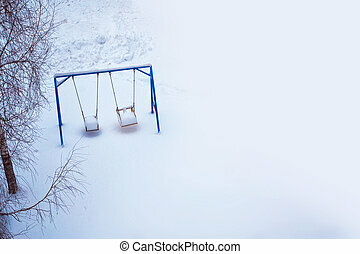 swing at the park. 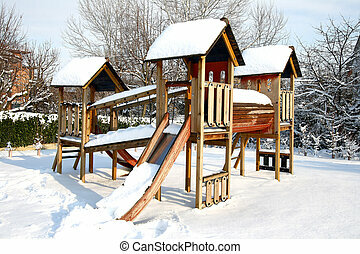 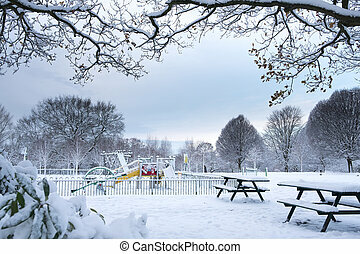 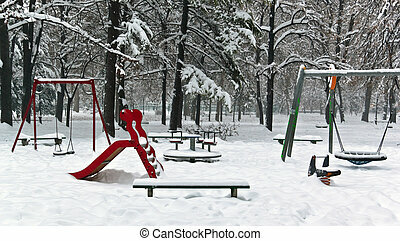 Children playground in Grove Park, Harborne is covered by snow. 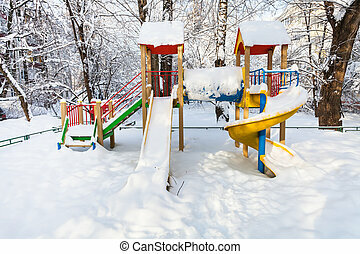 Children playground empty in the snow.